Despite the amount of money and time spent on sales technology and training, barely half of salespeople make quota. How can you ensure that 2019 doesn’t become another such statistic for your company growth? What can you do to have more predictable revenue? 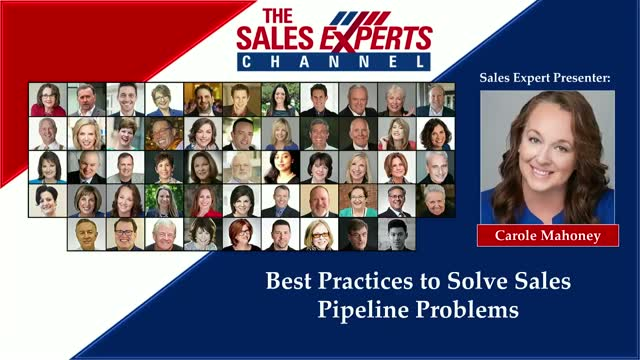 1.A process and techniques that hold sales managers and salespeople accountable to ensure pipeline results happen. 2.Which metrics to track and what actions to take in sales coaching and training for a more predictable pipeline. 3.The role recruiting and hiring plays in predictable revenue and what criteria to look for in new hires.